The Clog is looking to hire a few more UC Berkeley students to write about Berkeley and student life. Bloggers are expected to post four times a week, attend weekly meetings and do some original reporting. 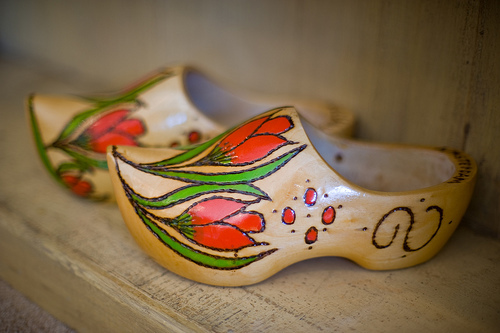 They’re big (wooden) shoes to fill, but if you think you’re up to the task, send an e-mail to [email protected] with the subject line “Clog Application” including your name, year, contact information and 2-3 sample Clog posts. When we say sample posts, we mean something you might see posted here, such as commentary on a Berkeley news event, in the tone and writing style you would use if hired. Hello I am so grateful I found your blog page, I really found you by accident, while I was looking on Bing for something else, Anyhow I am here now and would just like to say thanks a lot for a remarkable post and a all round exciting blog (I also love the theme/design), I don’t have time to go through it all at the minute but I have saved it and also added your RSS feeds, so when I have time I will be back to read more, Please do keep up the fantastic job.